These are a few of my favorite past vehicles that I have played with or had a chance to own. 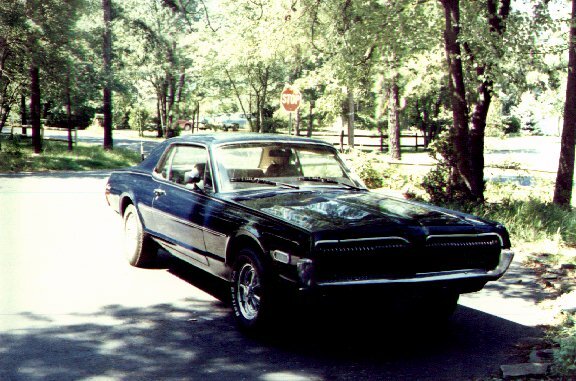 This was my 1st car, a 1968 Mercury Cougar. 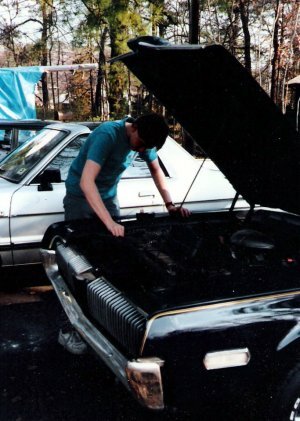 These are pictures of me at 16 - working "under the hood", I'll be honest - I had no clue as to what the hell I was doing. 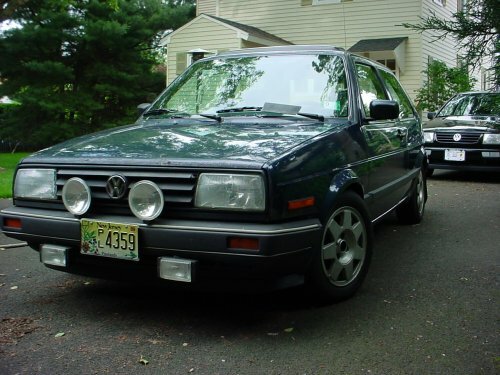 I made one of the common critical mistakes of owning a fairly cool car. I thought it would be a lot cooler - if I took the whole thing apart (books? PhhhT!). You guessed it - after that it was never the same. I ended up selling it - sad.... 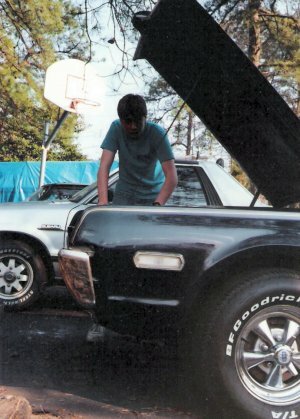 The silver thing in the background was our 1983 Subaru Brat. 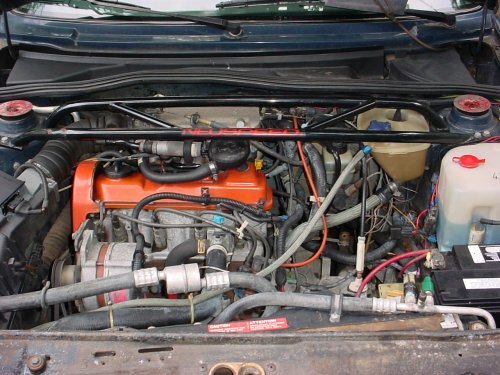 My Dad never believed in "common" cars. 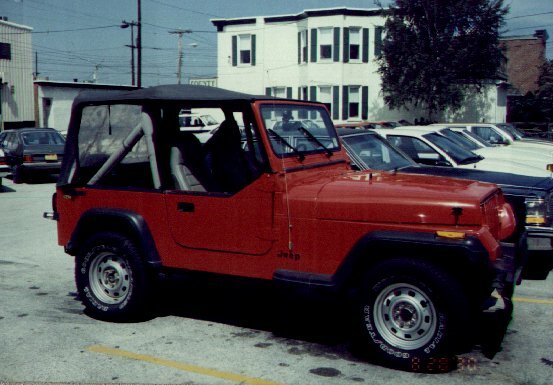 After the Jeep of DOOM, I had the pleasure - and I mean that of getting my Dad's used 1989 VW Golf I drove this thing until the Summer of 2003 - it was a total beater - but nice! 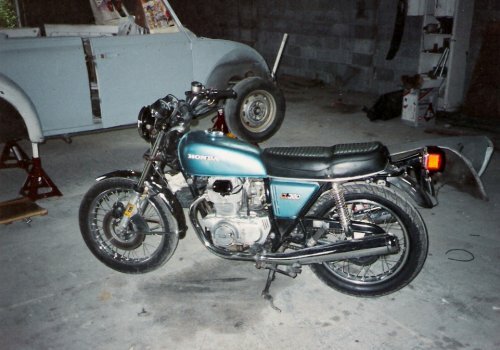 I had a few cool mods done to it (some of which I did 10 years before everyone else did!!) 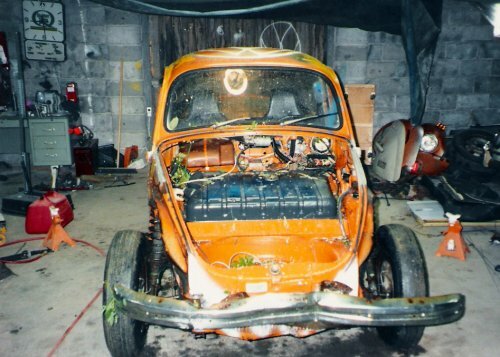 When I sold it the motor had close to an honest hard 300,000 miles on it - original clutch, water pump, and never had the head off! 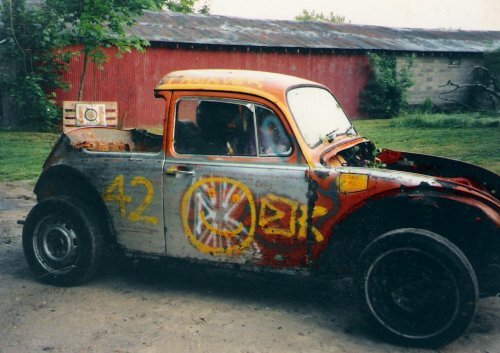 This car was the bomb! The paint suffered even after hours (and I mean hours!) of buffing it to a shine - only to have it dull up a week later. 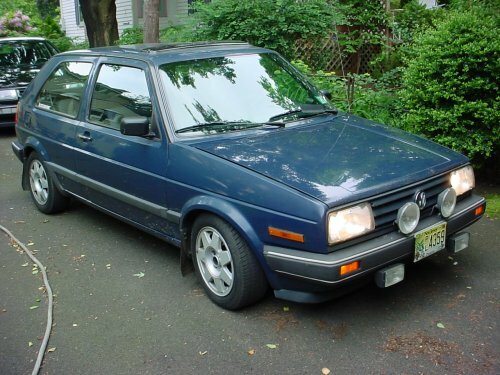 It never had clear coat - VW didn't clear coat this color (Navy blue) - it started out as a base model, and eneded up being a poor mans GTi! 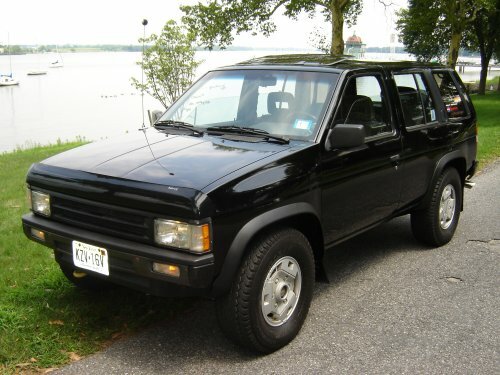 Then I had a nice clean Nissan Pathfinder, I sold it the summer of 2005 with 225,000 miles, for $1,000 LESS than I paid for it back in 2000. Was very good to me until the automatic trans blew out of it at 196,000 miles. I ended up putting a new one in on my garage floor. I added a remote start/keyless entry module, Gibson Exhaust, Custom made grill work, air-fuel ratio meter, and a nice Sony CD player to it. It was converted over to R-134a in the summer of 2003, and always ran cool. 4WD worked well, truck was bullet proof. Got it for runs to Home Depot..